Washington State ranks second in the United States in the production of wine after California and wine tasting is very popular in my hometown with many Seattleites hosting parties and fundraisers around it. A wine tasting party is a very enjoyable social occasion anytime but incorporating the fundraising aspect adds a special meaning to the event. As cash is raised for our favorite non-profit, we enjoy getting to know the community that supports its mission. Two years ago Leslie Lippi and Angela Jayo, two great supporters of the Bo M. Karlsson Foundation, hosted a wine tasting event to raise money for our scholarships. They paired with a small boutique winery in Seattle and Woodinville called Welcome Road which is “dedicated to making adventurous blends that are food friendly and equally at home at a BBQ or a formal holiday dinner”. Last month BMKF Board member Amanda Wager, with the help of her amazing family, organized a beautiful small soiree to celebrate our 11 new graduates and to raise money for scholarships in the upcoming school year. 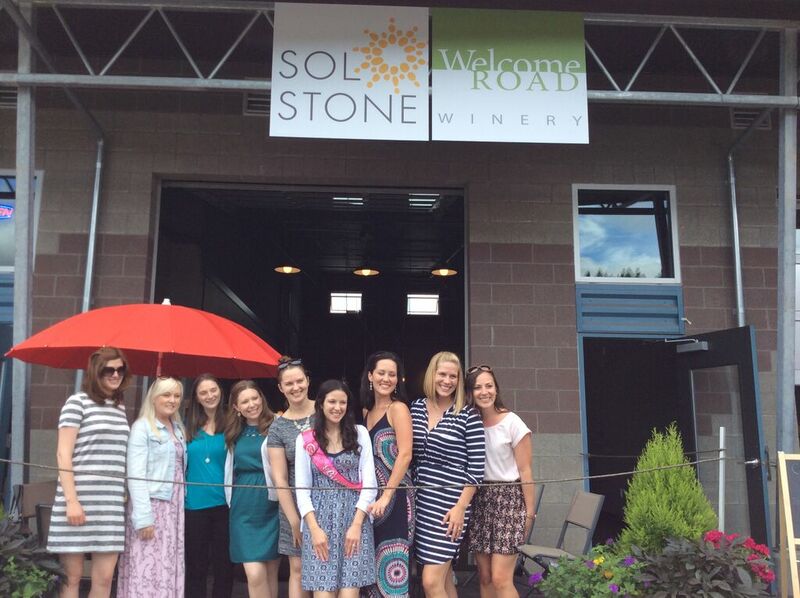 She chose another boutique winery in Woodinville for her wine tasting event. By sheer serendipity, Sol Stone Winery shares its wine tasting room with Welcome Road and thus we’ve come full circle! It has been a privilege to be introduced to two fabulous local wineries offering delicious wines and we love the stories behind their businesses. We are also touched by their generous hearts and commitment to philanthropy. 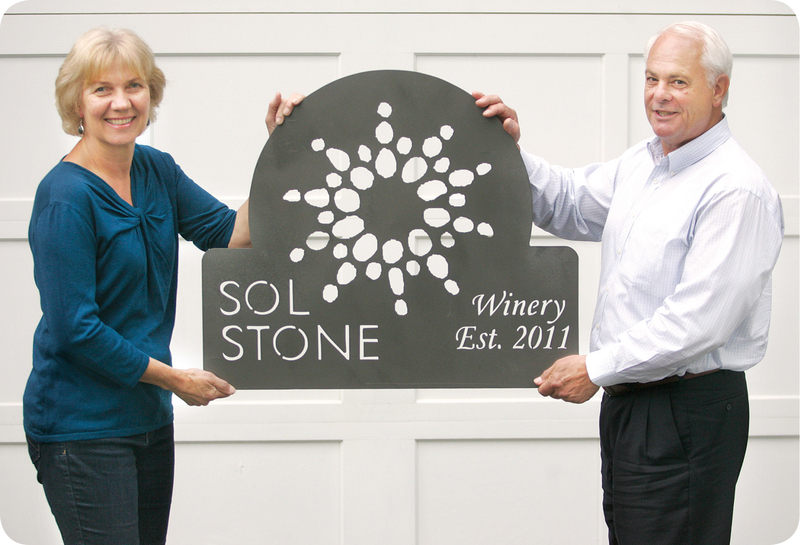 It gives me tremendous pleasure to introduce our new friends and—if you are a wine lover who believes in giving business to local entrepreneurs and thrive in the exploration of new experiences beyond the ordinary—Sol Stone and Welcome Road will not disappoint. “Buzz and Karen Buckingham’s ventures in the wine industry started when their children attended school in Walla Walla ten years ago. Convinced by a noted winemaker that they too could make wine, they gathered five other couples with similar passions and made a barrel of wine in their barn in Sammamish. One barrel soon became 22! They consulted with Cheryl Barber Jones along the way and made award winning wines under the label Rock Meadow Cellars. “We are a boutique winery in Seattle and Woodinville dedicated to making adventurous blends that are food friendly and equally at home at a BBQ or a formal holiday dinner. We also strive to make wines that are an exceptional value for the price. We love to make (and drink) wine because it is an affordable luxury experience. The enjoyment of things fades, but experiences last a lifetime. I had my first glass of red wine when I was in my late 20’s. It was a Cotes du Rhone at a steakhouse in Washington D.C. Until that night, I didn’t understand the life-altering experience to be had pairing wine and food. I wanted to be a part of that. 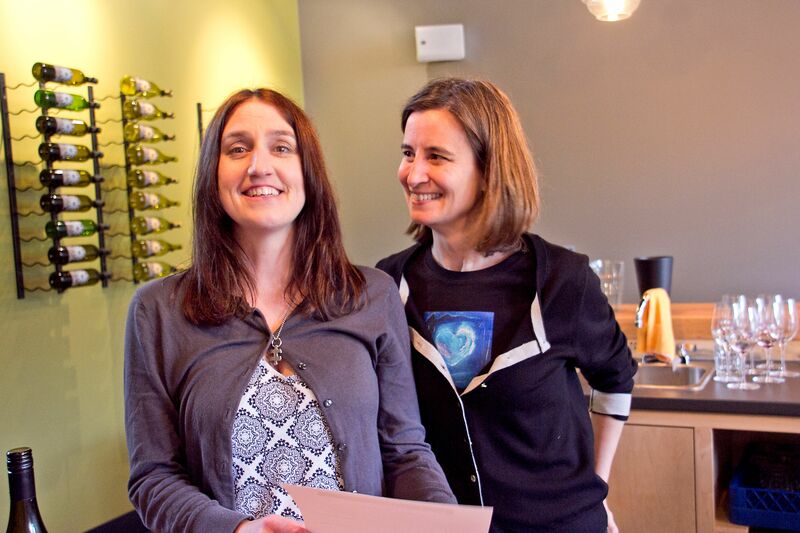 I went to school for enology at WSU, hounded accomplished winemakers for advice, tasted a LOT of wine and then, together with Kristen Dorrity, made the leap. Our winery is named Welcome Road after a road near Mount Baker where we have a little cabin. We love nothing more than hanging out on the back deck with friends grilling and drinking great wine after a hike or day on the slopes. We like to think there is a little bit of those good times in every bottle of our wine.